Explore the latest in medical advancement for effectively treating acne vulgaris, acne rosacea, sun damage and pre-cancerous lesions (actinic keratosis). PDT is a two-step process in which the photosensitizing agent, Aminolevulinic, is applied to the skin and allowed to incubate for one hour or longer, followed by a photoactivation from one of our light sources. This incredibly effective procedure is the best starting place for anyone with acne or sun damaged skin. PDT kills the underlying bacteria that causes acne, shrinks oil producing glands and pores and is a safe and effective alternative to Accutane and antibiotic therapy for acne. PDT also selectively kills abnormal sun damaged cells. Additional benefits of PDT include reducing sun spots, evening skin tone and texture, reducing pore size and fine lines and increasing collagen stimulation. PDT procedures produce remarkable results, but do require recovery time. Photodynamic Therapy (PDT) is a special procedure performed with a topical photo sensitizer called Levulan or Aminolevulinic Acid (ALA), a special light and molecular oxygen to selectively kill abnormal cells. ALA is a natural substance found throughout your body, as it is a precursor for hemoglobin synthesis. When localized in the target tissue, the ALA is activated by light to produce oxygen intermediates that destroy target tissue cells. 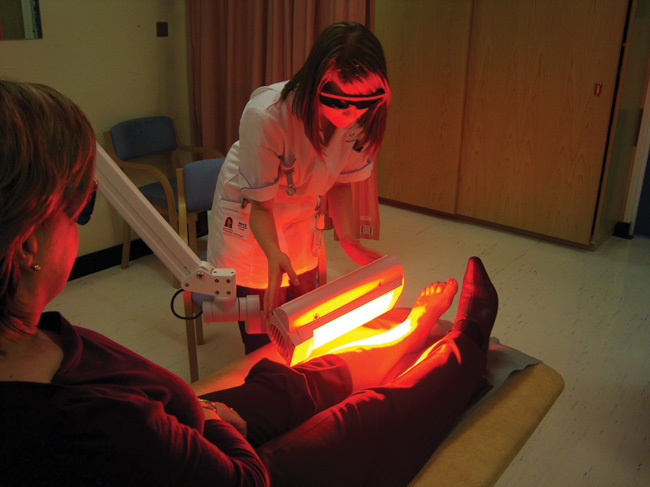 The easy access of skin to light-based therapy has led physicians to apply PDT to skin disorders. Patients with pre-cancerous lesions benefit from PDT because, unlike liquid nitrogen, 5-FU or Aldara, it is virtually painless, the side effects are minimal, there is a quick recovery time, and few procedures are necessary. In addition, there is reduced scarring and improved cosmetic outcome compared with other procedure modalities. PDT treats the whole area rather than just spot treating acne lesions, resulting in clearance of subclinical lesions and prolonged remission. The benefits are both medical and cosmetic. With short incubation, PDT can be painless. It kills the acne bacteria as well as reducing sebaceous glands, the two things that cause acne. 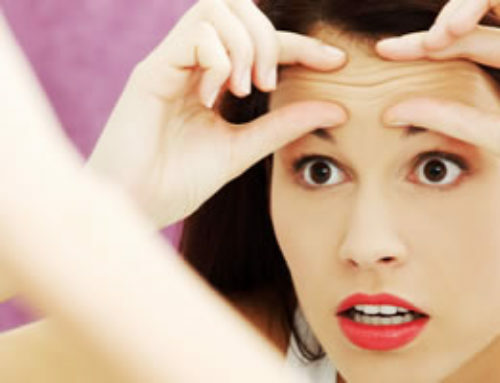 PDT restores the skin integrity to a large degree, causing improvement of not only acne but also acne scarring. Photorejuvenation can reduce the number of PhotoFacial procedures needed. You can take away precancerous cells, something that you cannot do with traditional PhotoFacials. You can reduce sebaceous hyperplasia, minimize pore size, fine lines and improve texture irregularities. It can also reduce pigmentation from sun damage and has been effective in the treatment of rosacea. Depending on how mild or aggressive your procedure is, you may experience redness, swelling and peeling for up to 3 to 7 days. Darker pigment areas may become darker during this time, but peel off during the peeling process. Bruising is uncommon, although the risk increases if you take aspirin products or blood thinners. Bruises are temporary and resolve in 1 to 2 weeks. Peeling and/or superficial crusting is an anticipated side effect of a PDT procedure, and it generally occurs between days 3 to 6. Skin wounds such as superficial blisters and scabs can occur and normally heal within 2 to 14 days. Use of antibiotic ointment on a regular basis usually results in uneventful healing. On rare occasions, there is a possibility of hypo (lack of) pigmentation. How many procedures will I need to achieve results? A less aggressive procedure will require 2 to 4 procedures while a more aggressive procedure will usually only require 1 to 2 procedures. Procedures are usually scheduled 3 to 5 weeks apart. Is Photodynamic Therapy right for my skin? If you are experiencing diffuse actinic keratoses, moderate to severe rosacea, moderate to severe sun damage, textural irregularities and/or acne, then you are a good candidates for Photodynamic Therapy. What light sources are available for ALA PDT? 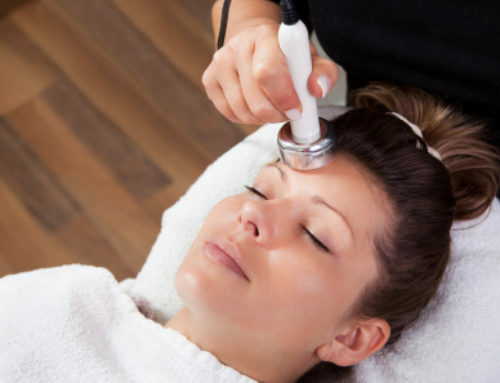 This light source is used for photo-rejuvenation by treating skin damage such as sun and age spots. 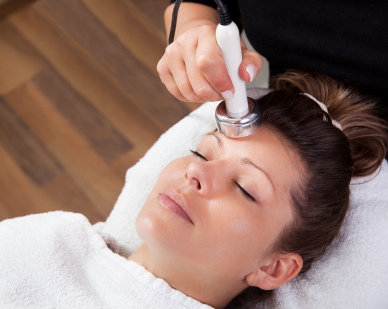 Adding Levulan to your PhotoFacial or PhotoBody procedures produces greater results with fewer IPL sessions. An extremely effective and viable procedure for actinic kerotoses, acne roseaca and acne vulgaris, this procedure reduces the activity of sebaceous glands, increases the protoporphyrin destruction of bacteria and reduces pore size. For best results a series of three procedures over a six to twelve week period is recommended for therapies above. Three weeks prior to your PDT procedure avoid the sun and tanning bed exposure to the area to be treated. If you have previously suffer from facial cold sores, there is a risk of recurrence. Ask us about medications that may minimize a recurrence. We do not perform this procedure on pregnant women. If taking Accutane orally, you must stop taking it one year prior to any procedures. Do not use any AHA’s, Retin A or Renova in the procedure area for one week prior to procedure(s). If you are taking aspirin or blood thinners, you may experience some bruising that can take up to two weeks to resolve. Patients with pacemakers or internal defibrillators should not have this procedure. What will the downtime be after the procedure? Most patients will experience 3 to 7 days of recovery time depending on how aggressive their procedure was. It is important to follow our In-House Physician’s instructions for your skin care regimen. Avoid sun exposure or tanning lights for two days after your procedure. Avoid any prolonged sun exposure for two weeks following your procedure. Always use as SPF 30 or higher sunscreen whenever you are outside. If there is any blistering or breakage of the skin after the procedure call NEOS MedSpa. You should use the antibiotic recommended by our In-House Physician. Keep the treated area moist at all times for one week following your procedure. Do not pick at or scrub the area as this may cause scarring. Peeling or flaking should be allowed to come off naturally.